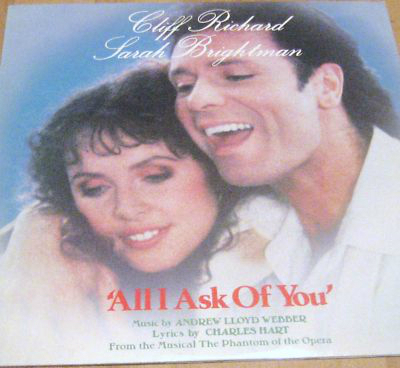 Sarah Brightman & Cliff Richard All I Ask Of u LP Cover. . Wallpaper and background images in the The Phantom Of The Opera club tagged: the phantom of the opera christine daaé. This The Phantom Of The Opera photo might contain anime, grappig boek, manga, cartoon, and stripboek. I Have Brought u To My Duggins! 2 1/2 minuut documentary of Roule and his Plane.